Today I did the first activity for day 5 of the holiday blogging challenge. 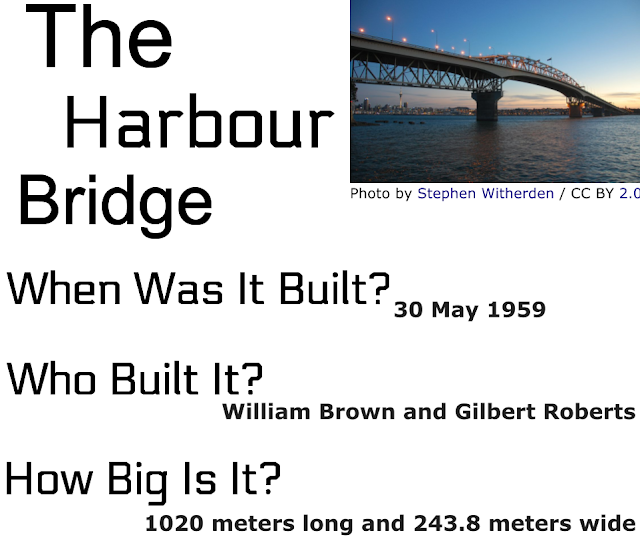 For this activity, we had to create a DLO about the Auckland Harbour Bridge. We needed to find some facts about this well known bridge, and had to add an image of it as well. 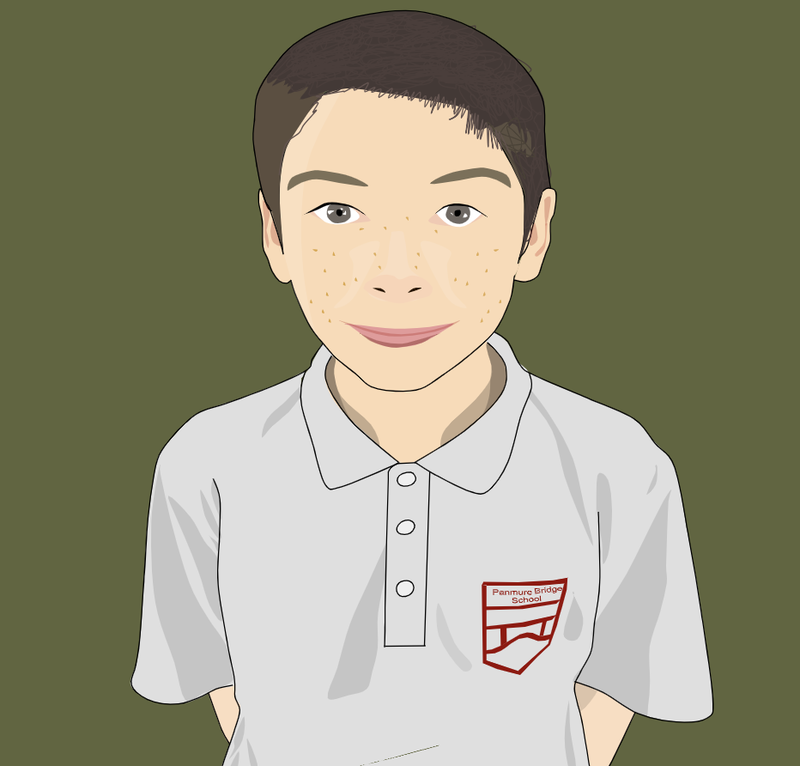 Hi Jack I really like the photo you used of the Harbour Bridge and I like the layout of your work. I am not sure if how big or long it is was one of the things we had to find but it is alright it is like extra information. Great work! Great facts! I really like how you added in extra detail by saying the month and the day it was finished. I do have a question though, did William Brown and Gilbert Roberts design it or build it? Great job on this, and also nice choice of an image. Hi Jack. I like the layout of your DLO. The facts you have provided are very interesting. I like how you have attributed your images. Keep up the great work.